I absolutely adore Jaime’s books. I have read her two previous books set in the same state, Wisconsin. This one also set in Wisconsin and the premise sounded spooky and well worth the read. Ok, first things first, it is weird to read a story with the main character having the same name as yourself. Heidi isn’t really a common name anymore so I don’t see it too often in books anymore. At least Heidi didn’t have the same personality as me or otherwise that would have gotten a little too weird. Speaking of Heidi, she is the second main character in the book. Her story is set in modern day time. She is a young woman who goes home to visit Pleasant Valley because her mom sent her a letter to come and discover her true past. What is in that letter that begs Heidi to come back home even though her family is dysfunctional? Speaking of dysfunctional, her sister Vicki. I did not like her. Yeah, Heidi made some mistakes in her life - but don’t we all? She was very critical of Heidi and didn’t give her the time to reconcile the past. I really felt for Heidi and thought she deserved to have a second chance at making things right with her family. And honestly, it’s not like she didn’t do anything too terrible so I didn’t see the warrant for Vicki’s actions. Thea Reed is the other main character in the story. This part of the story is set in 1908 in Pleasant Valley. 50 years after the death of Misty Wayfair. In this part of the story we learn the demise of Misty Wayfair and why she haunts the Coyle’s. What is mysterious about this part of the story is not only why she haunts the Coyle’s but why do they all die mysteriously? I really liked Thea. I found her to be independent and willful, if not a little stubborn. Though deep inside she felt lost. She felt lost because she returned to Pleasant Valley to find out who her mother was. She didn’t grow up with that motherly love and desperately needed to have that feeling of being loved. Jaime knows how to write a scene for sure. She also knows how to make you feel a little freaked out without the story being too scary. Pleasant Valley sounded like that town shrouded in secrets with a fake facade on the outside. I also kind of found it ironic that the town was named pleasant when it really wasn’t that pleasant. I really loved that Jaime included the topic of mental illness in this book. There are so many characters in this book that dealt with mental illness in one way or another. Mary, the woman introduced in the beginning suffered from depression. Heidi suffered from Anxiety. And other characters suffered from other mental illnesses which I won’t state - as it would spoil the story. Speaking of mental illness, the asylum mentioned in this book. Spooky is what it is! And I loved that Jaime emphasized how patients were treated in such institutions in the 19th and early 20th century; not really till the 1980s did they get any better. And also, I think this story emphasizes how today we treat those that are mentally ill. We kind of disregard them and treat them differently (in not a good way). It makes me sad how we treat those that need help! This story emphasizes purpose. Why are we here? I also feel like it also begs the question, do we inherent mental illness? I think Jaime wanted us to learn that we are created by God. He designed us in our mother’s womb. He has a specific purpose for us- and if that includes battling a mental illness, well he has a specific purpose for that. And we have to have faith in God in finding out who we are and what our true purpose is here on earth. ﻿Let’s just say… what?!?! the f…? And I have to say I think this one is my favorite so far from Jaime, with the first one of her’s falling closely behind. She really hit on the ball park this time and I can’t wait to see what she writes for the next book! Yes- please read this! I think everyone should try out at least one of Jaime’s books. She really knows how to craft a story and you will not be disappointed! 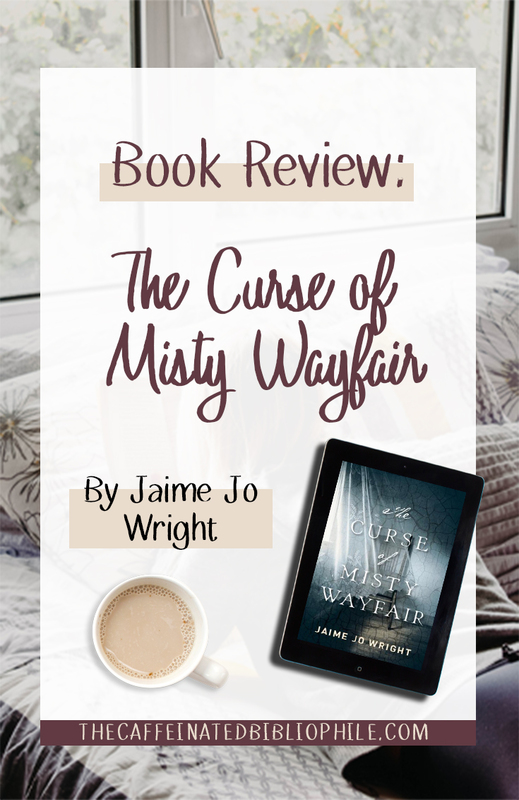 Have you read any of Jaime’s books or this one in particular? If you have read this one, share in the comments your thoughts! Please Note: I was sent a copy of this book to review from the publisher. All opinions are my own.